For the past several days we have had a team working in Madison, WI as part of our efforts to DEFEAT the RECALL. What our team found was somewhat disturbing and something that requires our attention. Liberal activists who are advancing the RECALL campaigns against Republican Gov. 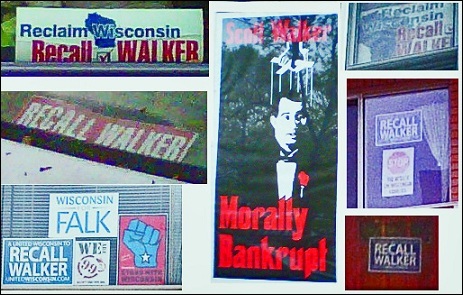 Scott Walker, the Republican Lt. Governor and four Republican State Senators are vigorously active. We want to make sure people realize how serious the situation is, because we are afraid some people don’t realize how high the stakes are and how intense the fight is. We must DEFEAT the RECALL. There is no other option. We cannot lose, as the stakes are too high and the consequence of failure too great. Please, make a contribution to our campaign to DEFEAT the RECALL –HERE. I just made another contribution to this important cause. Milwaukee mayor blasts Walker…MILWAUKEE ISN’T DOING SO HOT UNDER HIS WATCH! From The Wisconsin Radio Network.